St Paul’s Cathedral is London’s best known church, visible on the city’s skyline from all around the financial district. 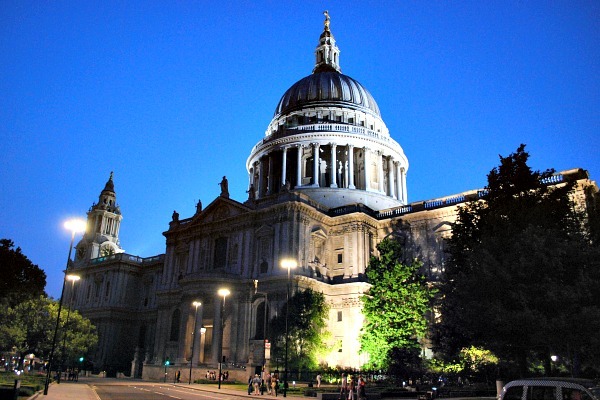 Its most striking feature is the huge dome, designed by Sir Christopher Wren. The cathedral is fully geared up for the large numbers of visitors it receives, including a hefty admission fee. St Paul’s is not open for sightseeing on Sundays, only for the usual services. Once inside the church, you will see the ornate nave stretch out before you down to the impressive decorated ceilings near the dome. You are reminded of the important events in UK history which have taken place here, like the marriage of Lady Diana Spencer to Prince Charles and funeral of Winston Churchill. The big highlight of our visit though was climbing the dome. 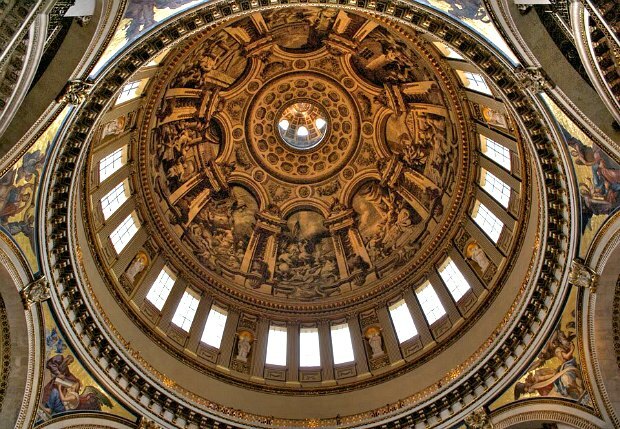 On the dome level, you’ll find the famous “Whispering Gallery” where the acoustics allow you to whisper to someone on the other side and still be heard. As the climb continues, there’s the opportunity to go outside and look at the views of the London skyline. We thought this was a fantastic experience. Be aware though that the trip up the galleries is only accessible by stairs. 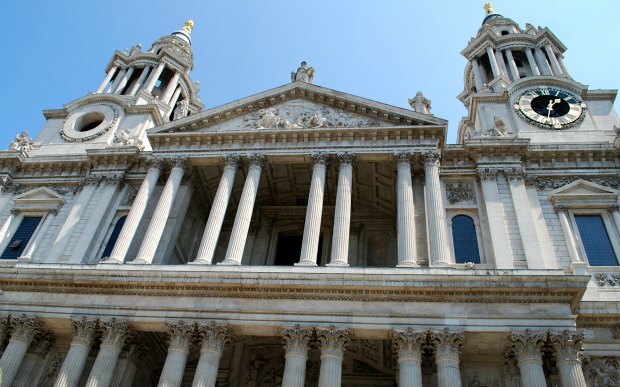 St Paul’s Cathedral is open Monday to Saturday between 8.30am and 4pm (last ticket sold). The galleries (climbing the dome) are open Monday to Saturday between 9.30am and 4.15pm (last admission). Adult admission is £18 (2016 prices), including a multimedia guide, with discounts for families, children, students and seniors. Guided tours take place at 10am, 11am, 1pm and 2pm and are included in the admission price. You must book onto one of these tours when you arrive at the guides desk. You can gain free entry to St Paul’s and get a discount in the cathedral shop with the London Pass. 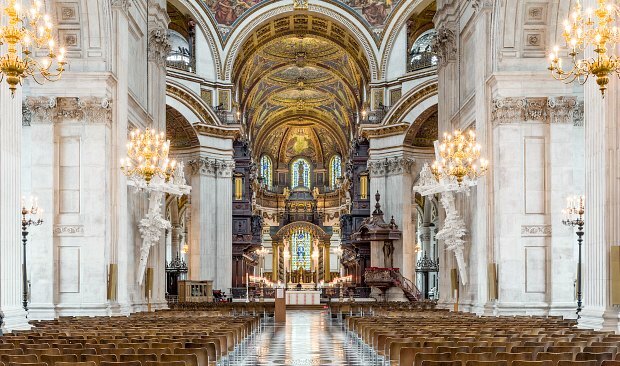 Also, for a unique experience at the cathedral, consider the St Paul’s Private Walking Tour which is led by an art historian. St Paul’s Cathedral is near to the River Thames. A great way to get there is over the impressive Millennium footbridge by Tate Modern. By tube, the nearest stop is St Paul’s.